The BS-3 or Yuri 3 satellites were a series of Japanese direct broadcasting satellites. The BS-3 were launched to replace the broadcasting serices of the BS-2, responding to growing broadcasting needs while developing technologies for more advanced broadcasting satellites. They were used for broadcasting and test broadcasting with high-definition television. In 1993, the program was spun off from NASDA to the Broadcasting Satellite System Corporation of Tokyo (B-SAT). 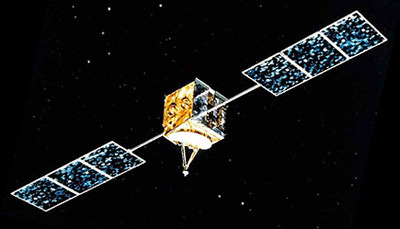 The satellites were based on GE Astro's AS-3000 bus and carried a NEC built broadcasting payload consisting of three active high power Ku-band transponders with three spares. BS-3a, renamed Yuri 3a, was launched on 28 August 1990 on a Japanese H-1 UM-129A (9 SO) rocket. BS-3a finished its programmed operation on 20 April 1998. BS-3b, renamed Yuri 3b, was launched about one year later on 25 August 1991 on a Japanese H-1 UM-129A (9 SO) rocket. BS-3b finished its programmed operation on 1 December 1998. BS-3n or Yuri 3n, was launched on 8 July 1994 on a shared Ariane-44L H10+ launch. The successor of these satellites were B-Sat's BSat 1a and 1b satellites.